Let's talk Spring right now because the weather outside is horrendous - if you're in the Greater Toronto Area, you will probably have heard of the near 20 cm of snow we're getting - boo! 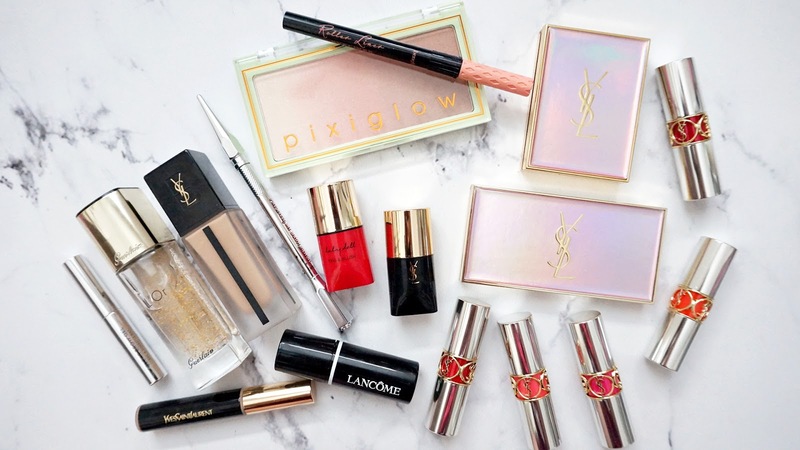 I was fortunate enough to be sent the YSL 2019 Spring Makeup Collection and if you are a reader or follower of my blog, you will know that I am an avid fan of their makeup - from their packaging to some of their formulations. 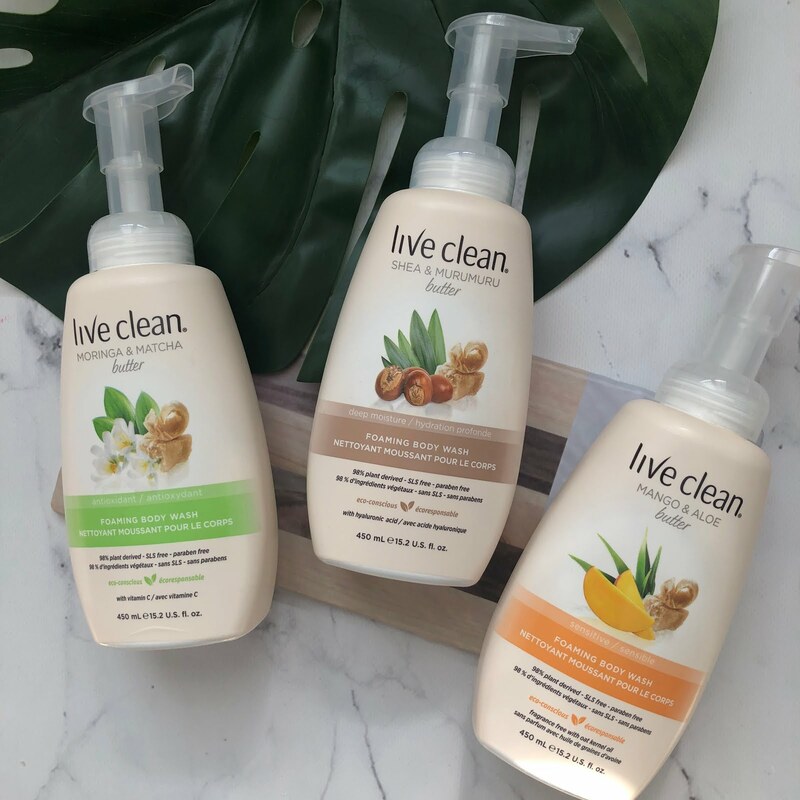 I truly believe that they have come a long way in their formulations in the past year - if you keep reading below you will see which products are a must buy, and whether or not there are any misses and why. 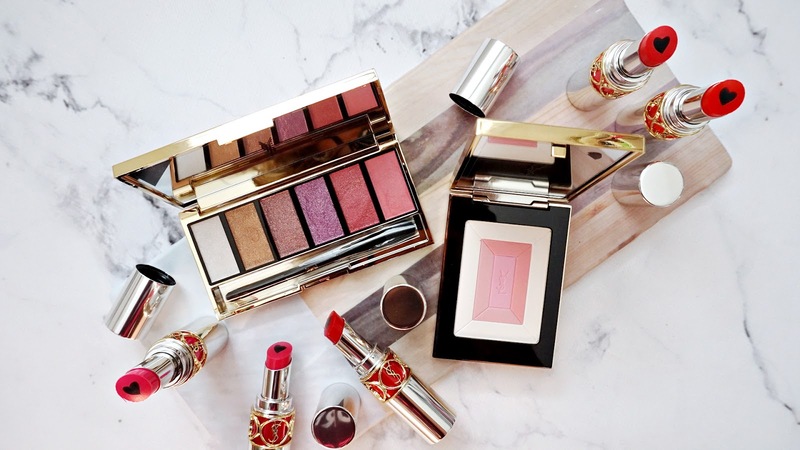 If you're interested in my last post about the Holiday collection, you can read all about it here, if not then you can see my other YSL posts here. This season's packaging is housed in a beautiful iridescent pinkand gold packaging - both remaining true to their standard eyeshadow palette and blush/highlight compact size. 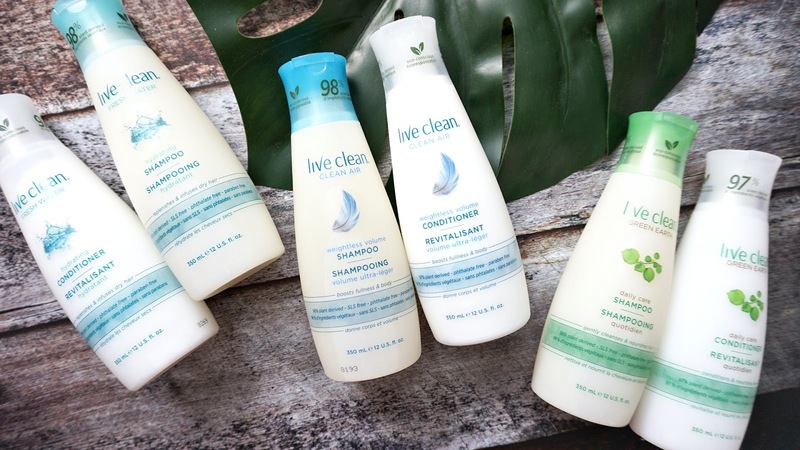 Again, the packaging is sleek, luxe and has a nice weight to it that makes you feel super fancy and posh when using it. First, we have the Shimmer-Rush Multi-Palette for eyes, lips and cheeks, which retails for $70 cad. I can see how this palette can be used for the eyes and cheeks, but not quite sure which ones could be used for the lips, unless you mixed it with a medium before application. These are all powder formulations that honestly swatch beautifully and none of them are duds. They are all pigmented, buttery smooth and blend like a dream. When you see this in action in my video below or even in the makeup look photos, none have been altered or enhanced, what you see is what you get. Is this palette worth the $70 price tag, yes. Even if you are a collector and buy it for the packaging, yes it is but the bonus is the product inside is amazing. Next, we have the Shimmer Rush Collector Blush Palette, which retails for $78 cad. While the formulation is soft, buttery and smooth it is important to note that it is a very light shade. I am a light-medium neutral in complexion and it hardly shows up on me. I had to end up layering this on top of the YSL Babydoll Duo Stick blush (one of my favs for a natural look). The swatch below is a heavy swatch of about 3-4 swipes, when I just use a fluffy brush to dip into the compact though and then apply to the face, I see the radiance they talk about - similar to a finishing powder. Though this item is beautiful to look at, I would however still recommend sticking with the mutli-use palette above if you had to chose between these two items. In addition to the palettes, I was also been sent 5 of the 8 new Volupte Plump-in-Colour Lipsticks. I had originally seen this product reviewed on Tati's (Glam Life Guru) Video recently and she had done a horrid review on these lipsticks - saying it burnt her lips and that it made her lips look blue and her circulation was being cut off - which is quite harsh and scary! 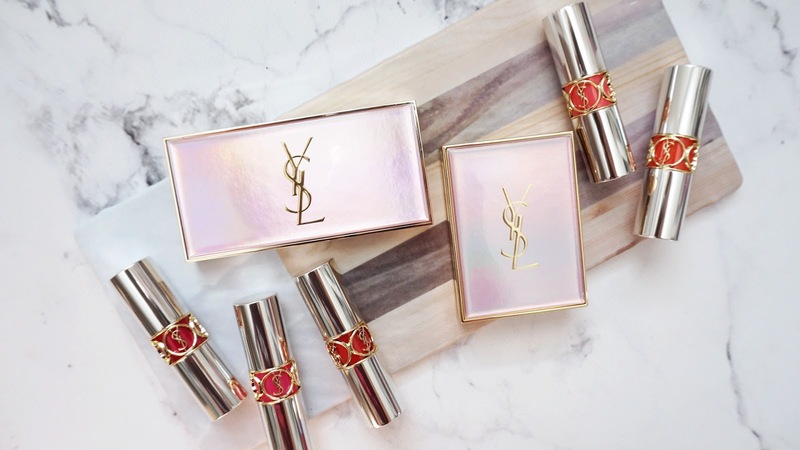 To be honest, I was a bit hesitant to try these out because I am such a huge fan of YSL lip products, I didn't want this to ruin the streak for me. However, hey It needs to be done! I started off by swiping these lipsticks on my arm as you can see below and they glided on effortlessly and beautifully - one swipe, even color distribution and looks wonderful like their other formulations. I saw no evidence of the black and blue markings that Tati mentioned - perhaps maybe she had got a bad batch? who knows - I'm not here to criticize her review, but just simply bringing light to those reading my post that I did not encounter this issue at all. This balm also is said to have a subtle plumping effect, which I find to be true - it has a slight tingling sensation, but nothing as extreme as many other ones I have tried in the marketplace - this one did not bother me nor did it over-do it. It just made it look a bit more juicy and at the end of the day this felt weightless, like water on my lips but as you can see in the video - one swipe, leaves behind a glossy look without the tackiness at all. You guys definitely need to go buy one... two... or more of these!ASAP! From left to right are shades 2, 3, 4, 5, and 6 on the far right which is a true red. I think all these colors are great for Spring or even for Valentines coming up! The products used to create the look above are listed in the video, but I also have them photographed below. Which items are your favorite or make you feel most excited about? I'd love to hear from you! * All items are PR samples, minus the Anastasia and Benefit products.